Are you tired of using the Paroli system when playing a roulette? 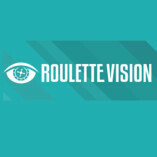 Come here, at Roulette Vision to learn a new system and put the knowledge into practice! Perhaps the Canon system will be better for you, or the Martingale is what you've been... looking for! We have everything! The world of roulette is our passion, too, so join our gambling family and learn what you need to make sure you have the best odds against the roulette!